Haier Liquid Nitrogen Storage System Medical Series features a relatively modest footprint and low LN2 consumption. 5 models are available suitable for medium capacity storage of between 2400 to 6000 cryovials. *Static evaporation and static holding time is theoretical value. Actual evaporation and holding time is affected b usage, atmospheric conditions and manufacturing tolerances. **Duration of normal operation is for reference only to estimate container performance under normal operating conditions. Actual duration may differ due to different atmospheric conditions, usage history, manufacturing tolerances and particular circumstances. 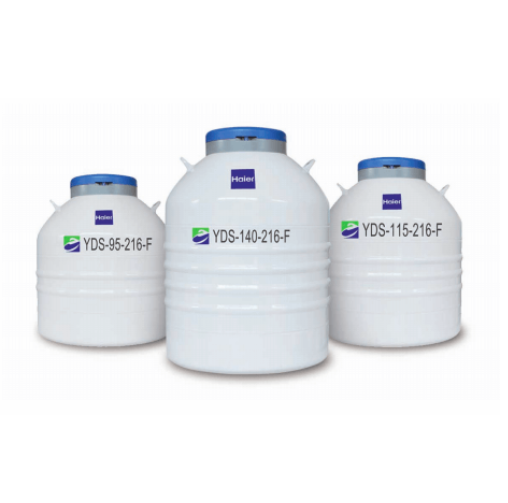 Auto-refill – Particularly suited to vapour phase storage. Continuously monitors inside temperature using the ZTC-100B/100C Level Monitor. LN2 is replenished by an automatically controlled inlet valve which provides safe storage and accurate control for longer than 8 weeks.